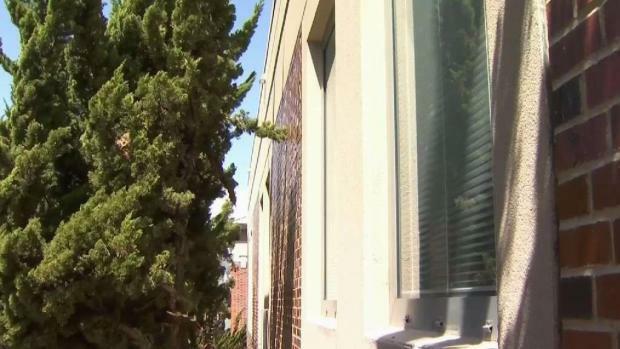 A 75-year-old woman found dead 10 days after vanishing from a California Public Health Facility on the San Francisco General Hospital campus was the apparent victim of cracks that persist in the system aimed at protecting patients, officials acknowledged Thursday. That such problems persist evidently frustrated authorities, given wide-scale reforms implemented after an eerily similar death in 2013. In that case, a patient, Lynne Spalding, wandered out of her room during treatment and was found in a different San Francisco General Hospital stairwell days later. Authorities had failed to search that stairwell as they looked for her. 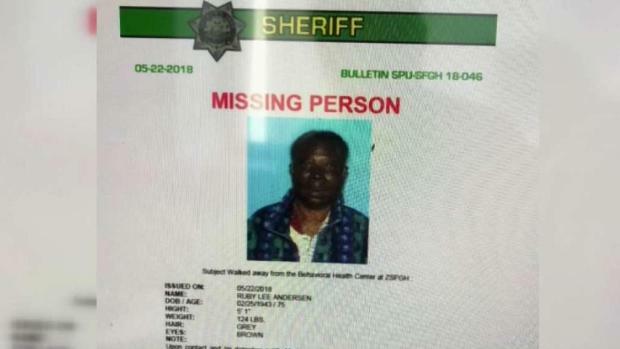 San Francisco Sheriff Vicki Hennessy said Thursday at a news conference that a review of the events involving the disappearance and death of Ruby Lee Andersen made it painfully clear that gaps remain. “I think we can make improvements on our protocol, after the fact,” Hennessy said. 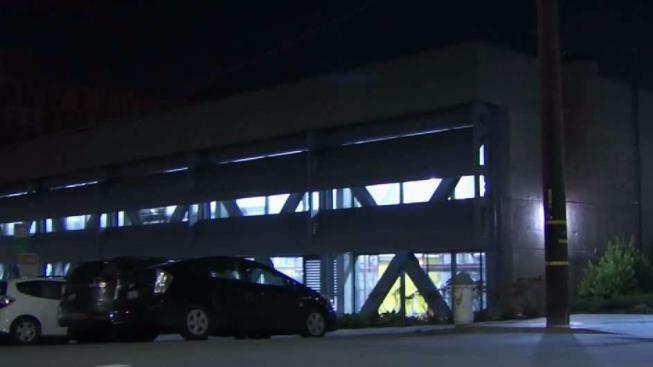 A 75-year-old woman found dead 10 days after vanishing from a California Public Health Facility on the San Francisco General Hospital campus was the apparent victim of cracks that persist in the system aimed at protecting patients, officials acknowledged Thursday. Sam Brock reports. One issue was that despite having dementia, according to her family, Andersen was not immediately considered to be high risk when she failed to return to the facility on the afternoon of May 20, sources say. The missing persons report was not given high priority in part because staff did not consider her at high risk. However, had Andersen been one year older, 76, she would have automatically been deemed high risk, and that would have prompted a more vigorous search. As it was, because she was a resident of the facility and not labeled a patient, Hennessy said, no grounds-wide search was conducted under department protocols. Hennessy said the report was forwarded to the police department, and a limited search was performed. "They took the report, they called family members, they checked Zuckerberg San Francisco General Hospital to see if she was admitted, they checked with the jail in case she had been picked up,” Hennessy said. Deputies also called the Medical Examiner’s office and entered the report in a computer missing persons database. The report was also sent on May 21 by interdepartmental drop box at Southern Station. Hennessy said the department could have done more to assure the report was properly handled, including sending a fax in lieu of interdepartmental mail. Sheriff’s officials said they still were not sure Thursday whether the police department’s missing persons unit ever got the report. It is also not clear how long after she disappeared that Andersen died, but sources say physical evidence suggests she may well have survived for several days before dying of apparent natural causes in the stairwell of the hospital engineering building.